The anatomical shape of a belly button may vary from one person to another. While majority have an innie, there are those that have an outie. This post acts as an inverse and outie belly button piercing guide. We also explore the outie innie navel piercing, rings and other forms of jewelry. The question “ can you pierce an outie belly button piercing ?” is very common. An outie belly button is one that is stuck out as opposed to an innie which is stuck in. Most outie navels are caused by extra scar tissue. There also are others that may result when a child suffers an umbilical hernia and the stomach muscles fail to fuse appropriately once the stump cord falls off. With this in mind, some people wonder if it is possible to have an outie belly button piercing. Traditional navel piercings mostly involve an innie piercing. This is the most common belly piercing and involves the needle passing through tissue located above the navel plug. Others may prefer their piercings done on the bottom plug , a piercing referred to as an inverse piercing. In some cases though, this is not possible. Persons with an outie do not have the shape to facilitate this type of piercing. Their anatomy is different and cannot support the regular piercing. With this being the case, can you get an outie belly button pierced ? The alternative would be to have an outie piercing. This tends to be done directly through the navel plug. As a result, the jewelry hangs on or below the navel. The plug that is to be pierced is made up of scar tissue. This makes it tougher for the needle to go through. As a result, it may result in a crooked piercing despite the piercer putting in the best efforts. When this happens, the jewelry worn will be affected as it will never hang proportionately. Unlike the navel plug which is mere flesh with a normal number of blood vessels, the outie is filled with blood. As a result, the extent of bleeding involved is increased. The blood vessels present also are a direct pathway to other internal organs. In case an infection occurs, there is a likelihood of it travelling through the circulatory system and be life threatening. As seen above, there are more risks involved when you are dealing with an outie navel piercing. As such, it is very important to take good care of it so that the healing can be smooth. Keep the piercing clean and avoid it getting in touch with dirt. Clean the wound twice using a saline solution. A sea salt solution is most recommended. Since this type of piercing protrudes more, it is likely for it to get caught on clothes. Avoid this by wearing low cut pants and loose tops. If you can, opt for crop and bikini tops. Given the increased risks involved, it is important to choose your piercer wisely to minimize the risks of getting complications. To pierce an outie belly button, you will need a belly button piercing kit. These are readily available. Once you have the necessary equipment, create a hygienic environment to undertake the piercing. Take all precautions that are necessary to prevent infections. Once done with the preparations, wash your hands and get your kit. Sterilize the equipment if they are old. If they are new, they will mostly be delivered in sterile packaging so this may not be necessary. Put on your gloves and clean in and around the navel. Use a disinfectant and cotton swabs for this. Mark the area where you want the piercing to go in through and its exit. To know if the client is okay with the positioning, use a mirror to show them the markings. In case the piercee is squeamish about the pain, you can use ice to numb the area or a numbing gel. Using the clamp, pinch the outie navel and while holding it in place push the needle in swiftly. Pull off your needle and thread the jewelry in immediately. Ensure you secure its ends so it remains put. With this finished the piercing is done. Never use the normal needle or jewelry to pierce the navel. It is also not advisable to do this on your own . Visit a professional to have it done. Once the piercing is over, take good care of it so it can heal fast and without complications. To further illustrate outie piercings, we got these pictures. The first and second pics show some cute outie piercing. The third image is one that can be considered unique since such kind of piercing is common in people with innies. Instead of opting to pierce the plug, this lady got a regular and inverse piercing. In some people, the navel is neither an innie nor an outie. This makes them be referred to as an innie outie or inbetweenie. With this kind of a piercing, you have a half outie and half innie belly button. The bottom part may be more of an innie while the top could protrude a little bit. These different navel shapes are best distinguished by looking at pictures. You may have had this type of navel all your life. Some women who give birth realize that their navels get this way after the pregnancy. Persons with this kind of navel can still get a piercing of choice. Depending on how it is shaped, your piercer will recommend what piercing is best suited for you. Getting an outie navel piercing requires you to be diligent enough. You must watch anything you do that concerning it. The ring you choose for your initial piercing has to be right. This should remain intact until the piercing heals. Upon healing, you are allowed to change your initial jewelry. 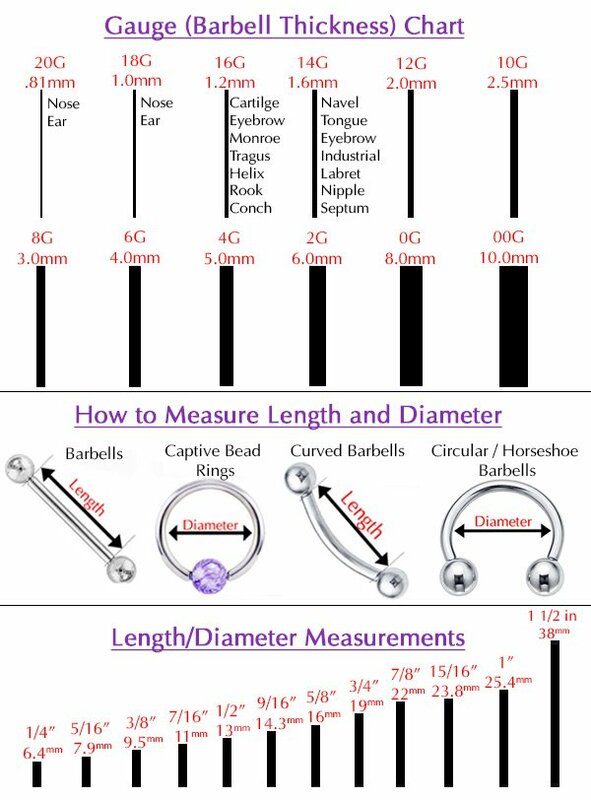 Depending on your taste, you can choose straight bars, barbells or rings with dangles. All these come in different designs, colors and shapes. Choose what works best for you. You can look at online outie navel rings pictures to have an idea of what you would love to get.